With many trail cameras in the woods during spring, maybe scouting turkeys, it’s no surprise to see a number of buck pictures. Buck antlers are growing, in velvet, though at a much slower rate than in the summer months. With that, speculation of final buck-rack size begins to grow as well. 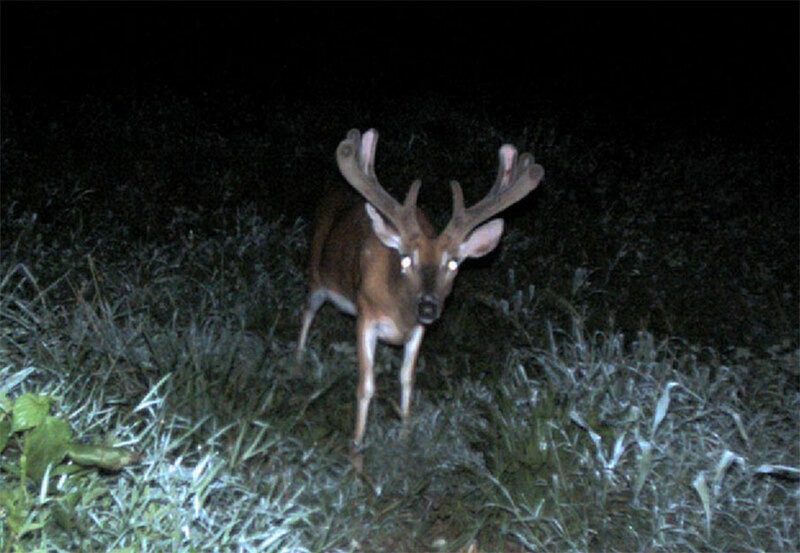 Hunters seeing bucks with significant velvet nubs are already trying to picture a Booner for the fall. 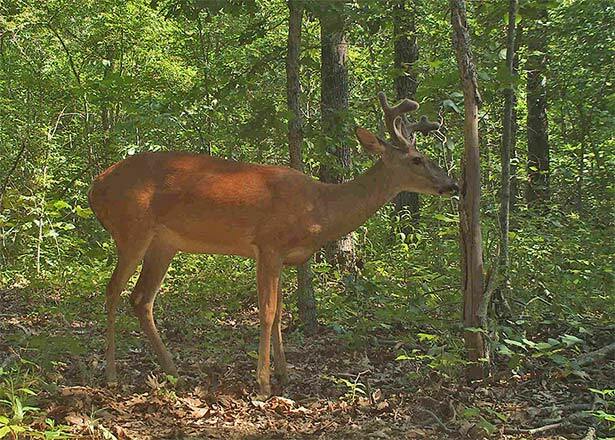 Although certain things in early antler growth may be an indicator for rack potential, there are many of factors at play that can hinder a good growth rate. Coming out of winter, the worse condition a buck is means more resources required in spring to repair his broken-down body. From lack of food to post-rut stress, a buck usually enters the spring in pretty ragged condition. Prior to allotting resources to antler growth, a buck will direct resources to building back lost muscle mass. Once in a more stable body condition, more resources will then be sent to antler growth. This doesn’t mean antler growth isn’t occurring; it is, just at a slower rate. The later a buck sheds his last set of antlers, the less time he has to grow his new set. Areas with a good buck-to-doe ratio will cause high-testosterone levels in bucks to drop sooner. The sooner testosterone levels fall, the earlier antlers will shed, which leads to earlier healing and new antler growth. This doesn’t necessarily mean bucks shedding in January will be bigger than ones dropping in March, even if they are the same age; there are a lot of factors determining final antler size. But in terms of early antler growth appearance, it can absolutely show a difference. Bucks in areas with a lack of food during spring can have much less antler growth. Even though these deer can surge fast when mass acres of lush crops come up, bucks in a well-managed, native-habitat setting can thrive much better during the early spring green-up with protein levels north of 20 percent. If food and nutrients aren’t there, significant early antler growth likely will not take place. This is why managing the natural habitat can be so critical, to provide high-quality food during critical times of the year. With all that being said, there are some key indicators in early antler growth that can be clues to a good buck in the making. If the bases of the new growth are significantly thick, there’s a good chance you have at least a mid-aged deer, and probably one that could be really good by fall. Any type of early branching can be a clue the buck is adding on inches and has potential to be good. Although difficult, the best way during the spring is still to examine the body for clues of an older buck. The older the buck, the more likely he will have a rack of your liking come fall.